Mark was admitted as an attorney in South Africa in 1988 and as a barrister and solicitor in Western Australia in 2003. He is also admitted to practice in South Australia. He has over 24 years of international legal and commercial experience, particularly in the resources industry, where he worked in Africa, Asia, North America and Australia. He worked as an in-house lawyer for Anglo American plc for over ten years, operating in a new business and acquisitions role in Africa, Asia and finally Australia where he was appointed to the senior role of Regional Manager – Commercial for the Asia and Australia region. During this period he operated throughout Africa and South East Asia negotiating acquisitions and joint ventures on behalf of Anglo and interacting with governments regarding their mineral, fiscal and investment codes. 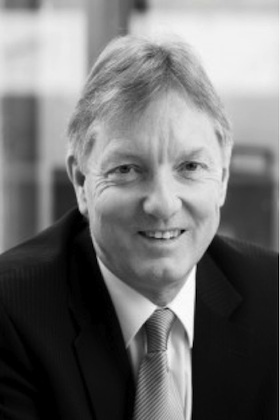 Mark also has broad commercial experience in the junior mining and resources sector having worked for junior listed resource companies from 2003 to 2010, including several years as Managing Director of two Australian Stock Exchange (ASX) listed exploration companies, which he listed in 2005 and 2007. In addition, Mark has enjoyed extensive public company experience having been a director of several mining companies listed on the ASX. Mark holds a Bachelor of Journalism majoring in Journalism and Law from Rhodes University (South Africa) and a Bachelor of Laws from the University of Cape Town (South Africa). He also holds post-graduate diplomas in both Company Law and Tax from the University of Witwatersrand (South Africa). He has spent the last few years in Adelaide, Australia where he has been practising as a commercial and corporate lawyer. He has a great deal of experience in negotiations, cross-border transactions, joint ventures, mergers and acquisitions, infrastructure and capital raising. Mark has managed legal and commercial issues over a wide range of jurisdictions, providing a valuable blend of legal and commercial experience, which significantly enhances our ability to deliver the best legal and commercial outcomes to our clients.